Laura: [00:00:00] Laura Reeves: Welcome to Pure Dog Talk. I’m your host Laura Reeves.And I am joined today by an outstanding guest. I think you guys are going to really enjoy Dr. Jerold Bell is an adjunct professor of genetics at the Cummings School of Veterinary Medicine at Tufts University. Thank you for joining us Dr. Bell . We’re going to talk today and help clear up some of the questions and confusion that surround all of the various DNA testing options that we have available for our dogs today when we’re trying to breed healthier dogs . So welcome I really appreciate your time. Dr. Jerold Bell: Thank you. Laura Reeves: So give us a little bit of what we call the 4 1 1. Give us a little bit of background on yourself. I know you own Gordon Setters. You also breed them. LR: Excellent. And you do a lot of work with Canine Health Foundation and the Orthopedic Foundation for Animals. [00:00:59] JB: So let me just give you the background. I am a member of the board of directors of the OFA which is the Canine Health Information Center. Their Web site is w w w o f a dot org. It’s the largest database of health screening information in dogs internationally. So we talked today about why health screening is important. And with dogs I helps and assist with the care and health foundation whenever I can because of their mission for healthier dogs as well as the health arm of the American Kennel Club. I am trained as a classical population geneticist and I study breeds and their gene pools and do research on genetic disorders and many dogs and many breeds as well as a mixed breed dogs and I am a full time veterinary practitioner. I own my own practice in Connecticut. So those are the backgrounds that I have. I also taught the clinical genetics course to the veterinary students at the Cummings school for 25 years before I retired from doing that. So I have some teaching and some research and practice as well as breeding to fill in all of the blanks in the background of what I do and why I do it. [00:02:12] LR: It’s awesome. Genetics is such a great field of study. Is that what you wanted to do when you started out to be a veterinarian? [00:02:21] JB: I was interested in genetics and actually did my graduate work in genetics prior to becoming a veterinarian. So what my observation is is that we see genetic disease in all dogs and cats but we’re primarily focusing on dogs today and when we see it with equal frequency in mixed breed dogs as well as in purebred dogs. So that’s the first myth that we can throw aside is that genetic disease only occurs in purebreds and therefore if you get mixed breed dogs you’re going to have genetically healthy animals. That is definitely a misconception. 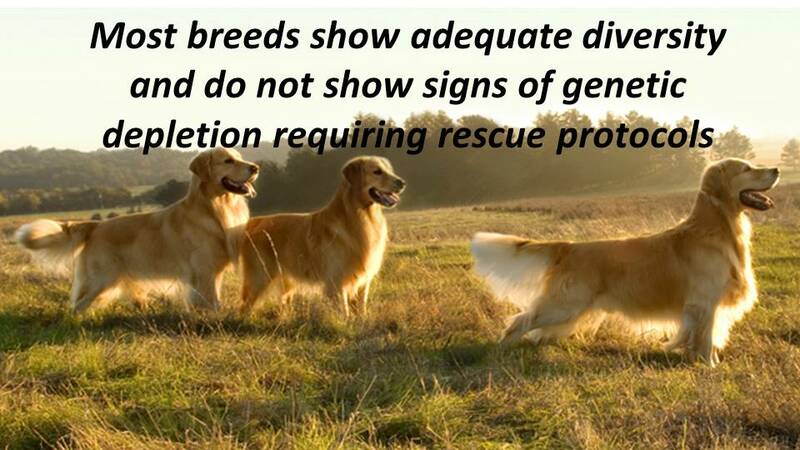 The most frequent genetic disorders that we see in practice are seen equally between purebreds and mixed breeds. Allergies are the number one genetic diseases that we see in dogs. And certainly some breeds especially the white coated breeds can have a higher incidence of allergies than other breeds but in general this is what we see the most of in mixed breed purebred dogs. We see hip dysplasia. We see in our smaller stature dogs, whether they are mixed breed or purebred, we see slipping kneecaps or patellar luxation. We see Anterior Cruciate Ligament Rupture which you think of as a traumatic disease an ACL tear in the knee, but actually there is a genetic predisposition for that and it’s highly heritable. LR: I thought that was absolutely fascinating and if we have a chance maybe we can find a link to that research so people can look into that because I think that is particularly interesting. 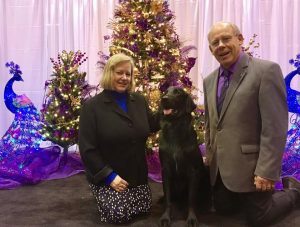 JB: Well the research into its heritability was done in Newfoundlands and there are many articles if you want to search under pub med to find some of the articles in there but there are also some other studies that have been done to show that it is familial and it’s based on the structure of the dog. 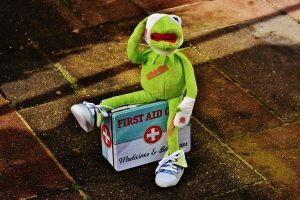 It’s not just a gene it’s based on ambulation and all sorts of different mechanical aspects that puts excess stress on that ligament and causes it to tear. As well as the fact that we are asking a lot more of our dogs lately. We do agility we do you know all sorts of things with them. So as a traumatic event, the predisposition is there and unfortunately we’re pushing our dogs to our limits a lot of times and we see it a lot more frequently as well. So the bottom line with genetic disease, in terms of trying to manage that and make the situation better, is that you’re not going to have healthy dogs unless you breed healthy parents. So in terms of our mixed breed population where, for most cases no one is making a decision of which dogs get bread together, there’s not a lot that we can do about that. 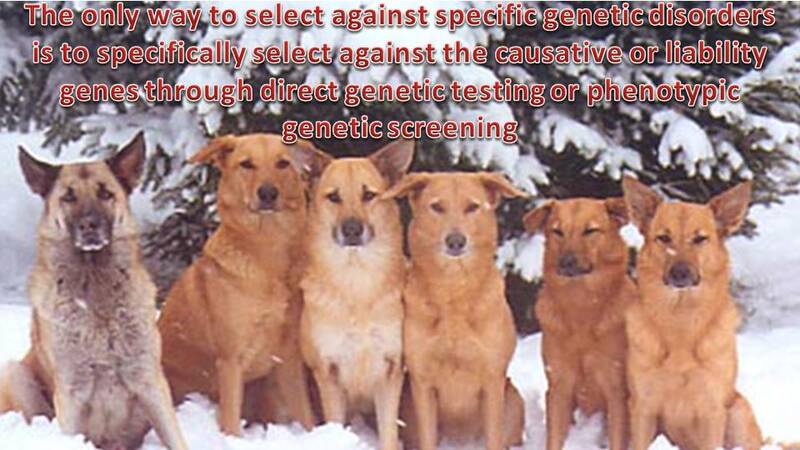 But for purebreds, or for designer bred dogs that are purposely crossing different breeds or other types of situations where humans are deciding which dog breeds to another dog, the most imperative part of that decision is that both parents are screened for genetic disease and for their genetic health in order to maximize the possibility of producing healthy offspring. And that’s really the take home message for today. Is that anyone that’s doing breeding must be doing breed specific genetic testing of the parents and if they’re not doing that then they should not be breeding. Then they are not an ethical breeder and not a health conscious breeder and there’s no place today for breeders that are not going to do that. LR: I think that’s absolutely on target. So the follow up to that is we’ve seeing this flourishing commercial DNA testing and I think there’s an enormous amount of confusion. There’s AKC DNA testing. There’s canine health information our DNA testing. OFA database DNA testing and then there’s all these the Wisdom Panel and the MY Dog DNA and all of that. What does these things tell us as breeders and which ones of them are useful when we are working on a breeding program. [00:06:20] JB: OK so I’m speaking directly to breeders, as well as to the public who’s looking to purchase a dog. Because it’s an informed consumer that is going to look for a health conscious breeder that is going to get a healthier dog when they do purchase or adopt a dog. So as much attention that we spend when we’re buying a refrigerator or a car or anything else like that, we need to do our homework when we’re looking to purchase a dog as well. So first of all, many of the health screening tests that need to be done are not necessarily DNA tests. 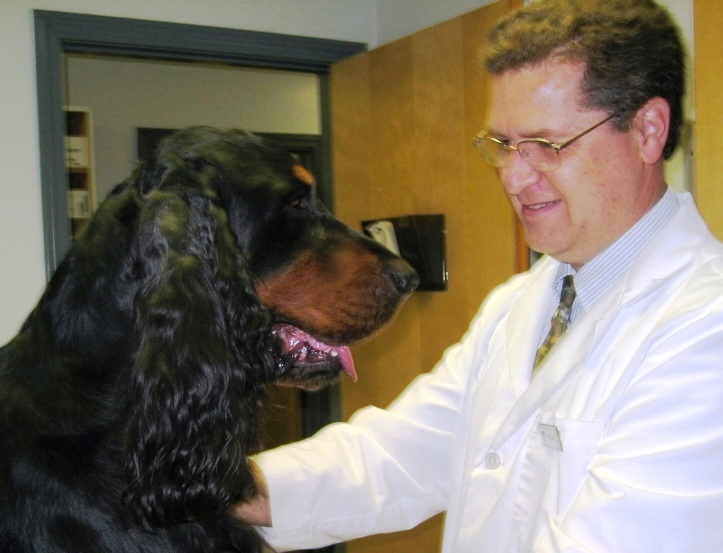 They’re simple eye examinations of a breeding dog by an ophthalmologist or a heart evaluation. A hip X-ray. Some of these can be done by a regular veterinarian. Some of them should be done by a specialist. But it’s a once in a lifetime test and many dog clubs have clinics where, for a very inexpensive fee, Thirty five dollars for a once in a lifetime test to have a dog’s heart listened to by a cardiologist and so forth, these screening tests can be done and the results can be recorded in the OFA CHIC database. That is one database OFA and CHIC is the same thing. The other tests that are available for DNA testing. You mentioned the AKC DNA testing that is just the test for parentage to show that an individual dog has the DNA of its two parents and therefore the pedigree of that dog is correct. So that has nothing to do with health testing at all. [00:07:45] The actual Wisdom Panel testing is testing for a mixed breed dogs to find out what type of breed backgrounds could be in their background. Although because we do see some of the more common genetic diseases in mixed breed dogs as well they are now starting to incorporate disease DNA tests in that Wisdom panel as well. So now you can be getting results on I think the ivermectin sensitivity that the MDR one I can’t think off the top of my head, but I know there are a couple of tests that are more widespread in the mixed breed population are now being included in that panel. In order to determine what type of testing should be done for each breed, I would go to the OFA Web site and right on the Web page it says what tests should be done in my breed and that’s where the CHIC requirements are listed which show breed specific pre breeding health testing that should be done on prospective parents. So if a certain breed has a particular mutation that has a DNA test that should be run prior to breeding that’s where it would be listed. And those lists have been put together by the parent breed clubs. So it’s the breed club that understands what the genetic disorders are and the breed of what needs to be screened for prior to breeding. So that’s in a nutshell what we have available there. [00:09:04] There are newer test called multiplex panels and the Mars company has one called optimum selection and there’s a company called Embark that has another, they’re out of Cornell, that actually runs a lot of the DNA tests that are appropriate for many different individual breeds all at one time and it’s just a cost effective way of running a 150 or 160 different DNA tests all at once on a single sample. And then what’s important after that is the knowledge of which test results are appropriate for determining health status in your individual breed of dog. Because some test results are going to have results that have nothing to do with disease in your breed even though it might have something to do with disease and another breed. So there’s a lot of genetic counselling that needs to go on with utilizing those types of tests but that is the direction that the industry is going. That it’s a lot cheaper and more efficient to just test for everything and then look at those results and see which results are appropriate for each individual dog. [00:10:12] LR: Right. That really helps I think clarify some of those. And in your presentation that you gave recently to the Canine Heal Foundation, that we’re going to provide a link to, the mentioned a test that’s come up from that that was very interesting. [00:10:27] I wondered if you can talk a little bit about that. [00:10:30] JB: So that’s one of the multiplex panels. So right now Mars has one and embark has one. So those are the two major companies where that’s available in the United States. [00:10:42] LR: So again on that particular seminar that I’m going to strongly encourage people to take a little bit of a longer time you want to sit down and really listen to it. [00:10:51] I really want to have Dr. Bell give us sort of the cliff notes in terms of talking about specifically. I love that comment. In essence genetics don’t decide which dogs to breed but what dogs to breed them to I love that sort of concept. [00:11:08] So if you can expand on that. [00:11:10] JB: So genetic tests should increase our choices, our ability to breed, not remove our choices to breed. So if we have a genetic test, and the majority of them are tested for assessing disease we’re two carriers have to be bred together, if you get a carrier test results you now can use that carrier and breed it to a normal testing individual and 50 percent of the offspring will be normal and 50 percent will be carrier but no affected dogs will be produced. And that’s the proper way of using a direct DNA test for a fully penetrant disease, where if you have two abnormal genes together the dog is always going to become affected for that particular disorder. And then the process is to breed your quality carrier to a normal and eventually replace that quality parent with a quality normal test offspring so that you’ve lost that single gene in one generation but have not lost the line that you are working with and attempting to breed quality dogs. [00:12:13] LR: So let’s work with a specific case study. What would be an example of a breed that is fully penetrate that is recessive that you could do this with. [00:13:15] DNA testing is such a huge advance for people working with these breeds because you don’t know without the DNA test you don’t necessarily know you have a problem until you ‘ ve bred the dog multiple times right. [00:13:28] JB: So there are a lot of later onset genetic disorders and that does become a problem because many times you don’t even know that dog’s going to become affected until after it’s breeding age. [00:13:38] LR: Okay so briefly you have say I don’t know three rules of thumb for using genetic testing to responsibly apply selection pressure for healthier dogs. [00:13:52] JB: Well the first is that any dog that’s going to be used for breeding needs to have a full health examination and appropriate genetic testing for the breed. That’s number one. So the breeders need to do that and prospective owners need to ask to see the test results and if they’re up on the FAA Web site then they’re available for anyone to see. So you should be able to put in a parent’s name or a registration number and see what the test results are on that individual dog. As well as its close relatives because there are many disorders such as hip dysplasia and patellar luxationlunation and heart disease and so forth that don’t have genetic tests that are caused by multiple genes not just a single gene. So having knowledge of the parents and the family of the parents gives you a better indication of whether there’s a lot of that disease in that family or a little bit because you want to breed away from the disease in the family. So that first rule of thumb is going to be the need to do genetic screening and both breeders and the public needs to look for genetic screening in order to improve the situation. The second thing is that in terms of just breeding in general you want to select for the things that are going to actually improve what you’re looking for in the dogs. [00:15:09] So whether it’s the quality of the dog itself and its ability or even this just in its conformation the way it looks or for genetic testing you want to make sure that if you’re applying selection which does limit choices because if you’re saying I want to select for this and these individuals have it. And these individuals don’t have it. You want to make sure that your selection is actually appropriate that it’s actually differentiating the haves from the have nots. Because there is a lot of genetic testing that’s being recommended out there that has nothing to do with disease or has nothing to do with genetic diversity or the health of breeds or the health of the individual dog. And the more selection or the tools of selection that we use in any individual breeding the less selective pressure we can have to improve each of those selection parameters. So if we’re incorporating or including selection that is not appropriate, we are actually harming our ability to create healthier and better dogs. 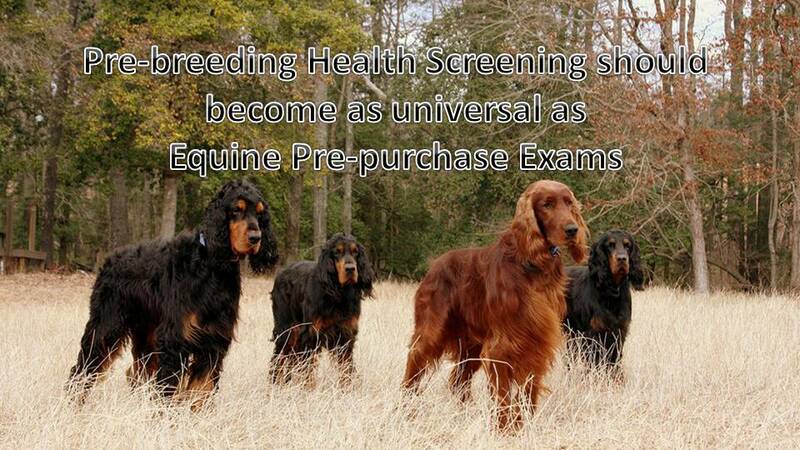 So we really need to make sure that the tools we’re using, the tests we’re using, because there are some breeds that are using genetic tests that are inappropriate for their breed and should not be selected against. And they’re limiting their gene pools because of that. And there are also panels called Diversity panels that are out there that have nothing to do with the health of breeds. That breeds are not endangered species. And while people might say well that because they’re pure bred they have limited diversity and therefore they’re unhealthy. And that is not true. [00:16:44] Most breeds are very healthy and they do not suffer from inbreeding depression or other aspects that we see in natural species that have those types of issues. So use tests appropriately have come up with the third thing as well. LR: I wanted to go back and touch on a couple things from each of those points. First point talking about researching the family. I spoke with Eddie Dzuik not too long ago at OFA. But I would love to have you expand a little bit on that vertical pedigree search that you can use on the OFA website. I find it to be the single greatest tool available easily free to anybody. [00:17:31] JB: So when you look up at dog’s web page on the OFA Web site and this is Facebook for dogs this is the dog’s own individual website. They can have their picture on there it has all their information. It has all the information of the tests results from the parents from the siblings from the half siblings. And then on that web page on the upper left hand corner it’ll say vertical pedigree and you can click the vertical pedigree and you can look at it specifically for hips for eyes for a heart for thyroid for any of the different databases that are included on the FAA Web site. And it will show you the results of the testing or screening on the parents and the grandparents as well as their siblings as well as all of their offspring. So this gives you both the depth meaning the generational depth. Parents and grandparents as well as breadth meaning the siblings of those individuals of health or normalcy based on the dogs that have had their tests done and recorded on the Web site. And that is what gives us the greatest selective pressure to improve the health of dogs and to decrease the incidence of those specific diseases. [00:18:41] LR: So again, following up on that, talk a little bit about why the siblings of parents and grandparents all those cousins in that pedigree. [00:18:53] Why do those impact your particular breeding. [00:18:56] JB: So the reason you look at depth and breadth is mostly for complex inherited disease which means there are many genes that are involved. If we have a simple one gene pair causing disease like the PRA example we used. It doesn’t matter what the parents were or what the siblings are. When you just look at the test results of the individual you know where normal carriers are affected and breeder accordingly. With complex inherited diseases, it’s a combination of genes that is going to cause a disease process to be expressed. And if you don’t have a combination that crosses the threshold to cause disease you may not know that you have liability for that disease in that individual. [00:19:36] But if there are full siblings or littermates that are affected that have crossed that threshold then that tells you that you have a higher genetic load and even in a normal individual that you’re looking at for breeding or if the parents or the parents siblings so if you see more disease present it tells you that you’re going to have a greater genetic load of liabilty genes for that particular disorder. Whereas if you see very clean test results on siblings and on parents and on the parents siblings then you have a relatively good chance that there’s not going to be a lot of those liability genes present. 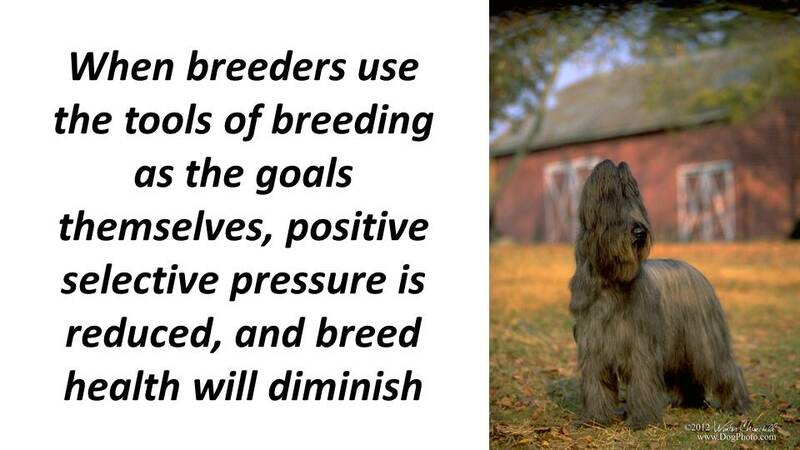 In large animal breeding and I talk about this on that webinar we do what are called the estimated breeding values. And what that does is it exactly takes the results from all of the siblings and the parents and the parents siblings and all the relatives looking for disease as well as looking for production as these were developed for meat production and egg laying production and milk production and that’s how all of these tools were originally developed. [00:20:40] And it will give you an estimated breeding value for that individual that says this individual should have high quality for hip dysplasia or poor quality for carrying genes for hip dysplasia. But the problem with trying to institute that type of program with purebred dogs is that for estimated breeding values to work every dog needs to have a hip evaluation done and it needs to be in the registry. And most dogs don’t have that. The pet dogs aren’t screened for their hips. So we have incomplete pedigrees but looking at the OFA Web site you can see whether you have a lot of individuals that have been tested or if you’re missing a lot of individuals in that pedigree to let you know whether you have the strength of information to give you more confidence on those individual results. [00:21:29] LR: So I’m going to take this and this is like super you might cringe when I offer this as an example but let’s start with this and break it down. So I for example am examining two different stud dogs. This is total theory. One is OFA excellent and it has an entire family worth of dysplastic dogs behind it. The other one is OFA fair and it has an entire family of goods and excellents behind it. Which is my preference based on that scenario? [00:22:01] JB : I would argue a close relative to that fair dog that has a good hip evaluation. But you know I get what you’re saying. I agree with you that individuals with the fair hips may have better genetics than that individual with the excellent hips. So I agree with that scenario. But in terms of selecting a breeding dog, I would prefer a dog whose own hips are at least normal and that also has better results of its close relative. One more comment on that scenario if that fair dog was the only one from that family that was available for breeding and has all the other aspects that you want to use for breeding, I would not hesitate to use that fair dog that has a really really good depth and breadth of pedigree. And certainly breed it to a dog that has a good or an excellent so that you’re upgrading from what his phenotype or what he or she has. And on the converse side I would be cautious about breeding an excellent dog who has a lot of displaysia in the background because I do think that you’re going to be carrying and passing on a lot of displaysia liability genes and you’re really going to have to watch out for that. [00:23:07] LR: Perfect. I could sit here and talk to you all day long but I know you. [00:23:10] A cyclone Bomb blizzard in Massachusetts and you need to get back to you in practice. [00:23:16] I very much enjoyed our talk and I will make sure that people have links to all of this information available. [00:23:24] Okay okay. Thank you very much. Thank you.